In the spring of the year 1929, a small group of Jacksonville citizens met to discuss the organization of a local historical society. In order to stimulate interest, invitations were sent to several hundred Jacksonville residents thought by the group promoting the plan to be interested in local history, inviting them to become charter members of the organization. These invitations stated that the name of the organization would be The Jacksonville Historical Society, and that the first meeting would be held in the Carling (later the Roosevelt) Hotel on May 3, 1929, at 8:30 p.m. All who joined the Society at or before that meeting would be deemed charter members. Similar invitations were extended to all interested persons, through the local newspapers. As a result of these efforts, over two hundred charter members were enrolled by the evening set for the first meeting. At this meeting on May 3, 1929 – itself a notable date in local history, since it was the 28th anniversary of the great fire of May 3, 1901 – a large and enthusiastic gathering put in an appearance. The total number of charter members was 231. H.H. Buckman was elected as the first president. The music for the first meeting at the Carling was provided by Miss Bethel’s Mandolin Orchestra. Telfair Stockton, the developer of Jacksonville’s tony Avondale and San Marco neighborhoods, was the featured speaker. The Society was incorporated as a non-profit corporation November 27th, 1929. The early members of the Society began to collect historical memorabilia, books, papers, photographs, etc., which have formed the nucleus of the Jacksonville Historical Society’s Archives and which are now located in the Library of Jacksonville University. Plans are currently underway to move this extensive collection to the 4th floor of the Downtown Public Library, where it will be housed alongside the library’s Florida Collection. The proximity of these two repositories of historical documents will enhance their accessibility and value to the community. Over its first 60 years the Society published numerous booklets and presented many programs; it assisted in research and built its archival collection. It was a tightly knit organization that fostered Jacksonville’s history; but with no paid staff nor a permanent headquarters, it was by design not an activist organization. The direction of the Jacksonville Historical Society changed dramatically in its 59th year with the election of Sarah Van Cleve as its president in 1988. Soon, an Executive Director was hired; office space was acquired for a headquarters; a large and professional newsletter was published; the Board of Directors was expanded; and a fund-raising campaign was initiated to broaden the scope of the organization. The Society took on a more activist role in the community, taking the lead to preserve numerous endangered landmark buildings. 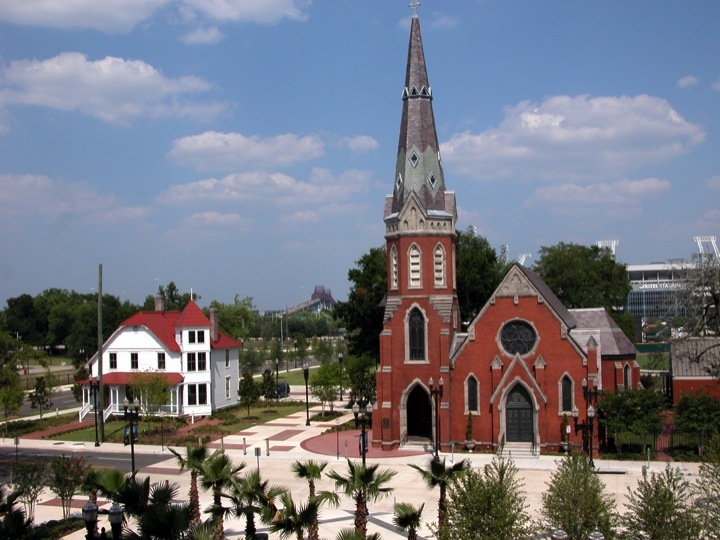 By 1994 the Society had convinced the City to give it custody of one of Jacksonville’s most significant landmarks, Old St. Andrews Episcopal Church, which had been acquired as property was purchased around the old Gator Bowl stadium to accommodate the new NFL football team. The Jacksonville Historical Society embarked on a million-dollar fund-raising campaign under the leadership of Matt Carlucci to restore the building that many had thought was impossible to save. The money was raised, and on April 18, 1998, the completion of the restoration was celebrated. Old St. Andrews became the new and highly visible headquarters of the Jacksonville Historical Society. Within a year, the Society embarked on another ambitious restoration project – the moving and restoration of the historic James E. Merrill House. 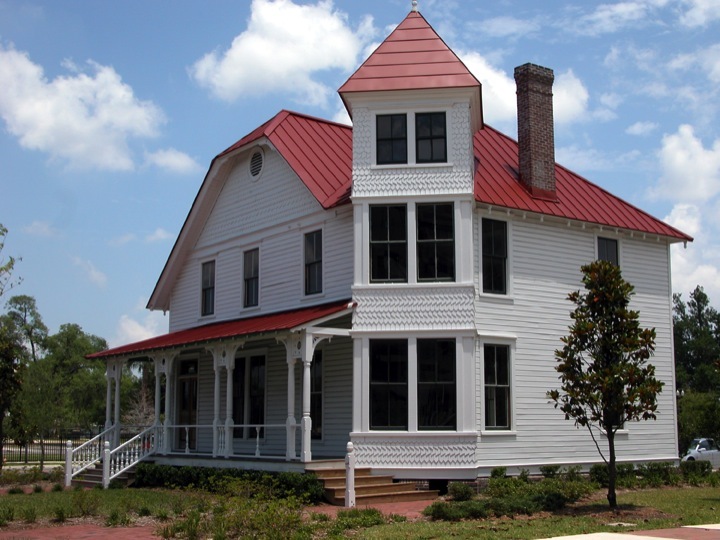 With the restoration supervision of Jerry Spinks, the Merrill House was completed in 2006, and it is now one of the finest Victorian-era house museums in the South. Under the energetic leadership of Executive Director Emily Retherford Lisska since 1996, the Jacksonville Historical Society has been at the forefront of hundreds of projects that have led to the preservation of numerous historic buildings, promoted education and awareness of our city’s history, and expanded the Society’s Archives. As part of its advocacy role in the community, the organization has spearheaded the publication of six major books about northeast Florida history. Although the Jacksonville Historical Society is focused on preserving the past, it is very much about enhancing Jacksonville’s future.